Buganda is a subnational Kingdom within Uganda. It is located in the south-central region of Uganda. The people of Buganda are referred to as Baganda (the singular form is Muganda) their language is referred to as Luganda. Buganda is home to the nation's political and commercial capital, Kampala, the country's main international airport, Entebbe; as well as the home of the second largest fresh water lake, Lake Victoria. The king is called the Kabaka and always the cultural leader of the Baganda. Sovereignty of leadership has always belonged to the male child from the royal family. Neither woman nor any other person not from the royal blood can reign in Buganda. Join us on this Five-day Baganda cultural trail as you learn more about Buganda’s monarchy, her territorial expansion, governance system, the colonial impact on Buganda, as well as the fateful constitutional crisis of 1966 and political developments. After breakfast, start with a visit to the Kasubi tombs; a royal burial ground for the kings (Kabaka’s) of Buganda kingdom. The Kasubi Tombs located 5kms from Kampala is a huge dome-like structure that houses the remains of four former Buganda kings: Mutesa 1, Mwanga 2, Daudi Chwa 2, and Edward Mutesa 2. It was constructed in a traditional fashion with thatch poles and reeds, housing a variety of artifacts that belonged to the kings. The descendants of the king’s wives look after the site. Visit the Kabaka’s lake, a manmade lake that was dung by the Baganda on the orders of king Mwanga,he wanted to create a cannel that could his palace to lake Victoria. And Naggalabi Coronation site is a very important place in the Buganda kingdom,it is the historical heart of Buganda,it is here the kingdom was birthed at the dawn of 14TH century and it is here that every king of Buganda is been crowned. This has happened for over 700yearsthere are unique things to see at this site these include the “nalwoga pond”, where for the event is got from. The grass thatched houses and the “Muwafu tree” which acted as court where the kings’ settled disputes. Relax for lunch break at your hotel. In the morning after our breakfast, we transfer to Namugongo shrines to see the Uganda martyrs who were killed on the orders of Kabaka (King of Buganda) Mwanga. Lunch will be served, and then proceed to Sezibwa Falls (known locally for having been born by a human being). 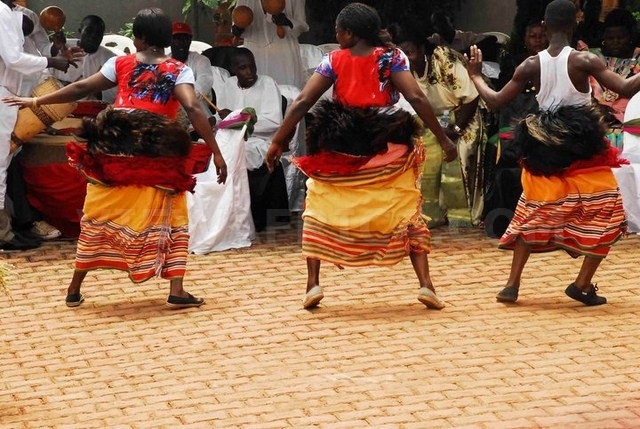 According to the Buganda legend, hundreds of years ago, a woman called Nakangu; from the fox clan was expected to give birth to a set of twins but instead gave birth to two rivers – two streams Lunch break in Jinja town and after we will precede to the Kyabazinga’s palace of Busoga Kingdom and old colonial buildings in the town.